Over 31 Years of Sales and Marketing Experience in the DFW Metroplex Area! Carol has gained 31 combined years of experience working for the the #1 CENTURY 21 Office in the World and the second largest retailing company in the United States. This experience was gained through hard work and a great positive attitude! A proven record of hands on experience, leading management abilities and lasting public relationships in a highly competitive, fast paced pressuring environment. Carol has a broad range of sales, marketing skills and an exceptional ability to deal with the public in a sensitive, caring and responsible manner needed in today’s society. Being a pre-sale Decorating consultant, she is able to provide valuable advice on staging homes to appeal to the prospective buyer and bring the best sales price in the least amount of time. 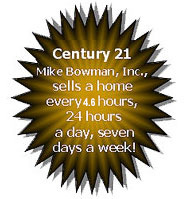 CENTURY 21 Mike Bowman, Inc. has received numerous awards and has an incredible reputation in the real estate market. Carol is very proud to be part of the CENTURY 21 Gold Standard Team. She continues to utilize her 31 years of professional sales and marketing experience along with CENTURY 21 Mike Bowman, Inc. to market each home to stand out above the rest. She’ll make it happen . . . You make it home! Because of her love to work with and help others Carol is an Active Member of the “Be The Match” National Marrow Donor Program which helps people with life-threatening blood cancers like leukemia and lymphoma or other diseases, a cure exists. Be The Match® connects patients with their donor match for a life-saving marrow transplant helping to cure blood cancers and save lives across the globe. Carol has a FIVE STAR rating on Zillow! Congratulations on achieving the 2016 Quality Service Producer Award for the second year in a row. Your hard work and dedication to your customers, your community, and the CENTURY 21® System have enabled you to earn this outstanding achievement! Carol Holloway walked us through every step of the way. We took all her advice and expertise and it all paid off. She truly went the extra mile for us. I am so glad she helped us in this important endeavor of our lives. She helped and encouraged us to learn a lot before making a decision. Because of all the knowledge acquired we were able to make a good and intelligent decision when the actual purchasing time came. Carol was obviously on top of her game the second we met about the house. Our first meeting with her stats under her arm and ready to talk numbers. Carol put me at instant ease with her knowledge of the neighborhood, and her thoughts on the sale of the house. I knew immediately that she was my Agent. I can’t say enough about Carol’s character. Amazing person! I would work with her any time. She was absolutely fabulous throughout the entire process. Talk about savvy! Almost every time a negotiation came around, it seems that she just made me more money and more money and more money!!!!!! Absolutely professional. The whole experience was great. My husband Mike, myself, my family & and friends were so impressed. We will never use anyone else to sell property but Carol Holloway. Thank you for everything!! Your entire team ROCKS!! My family and I have been using Carol for close to ten years now and she never lets us down. Regardless of whether it is a house to buy, sell or lease, she has done it all for us. Excellent job! Her marketing and negotiating skills are great and she has a kind caring and compassionate side of her that really shines. We cannot imagine of using anyone else. Thank you for you all of your help, you have been amazing throughout this whole selling process! Thank you for all the help and support you provided us during the sale of our Fort Worth Home. You have been extremely amazing and professional. Ms. Carol Holloway is sweet, patient, understanding and all of the above. She was there to encourage us when we were giving up after looking for a house for about six months. I’m very proud of her she’s not just an agent not even a friend she’s like family to us now. Everyone in the family knows her name. And from now on whenever someone we know wants to buy a house they’re going to call Carol at CENTURY 21 Mike Bowman. We couldn’t have done it without her. What a wonderful job you did on the tour! The house looks so beautiful. We almost hate to leave. Paula and I appreciate all the work you have done. You are the best of the best! Carol, thank you for the help. This was the best experience I ever had working on a HUD property. You were the most helpful and responsive. I also congratulate you on the selection of Capital Title. The service provided was excellent. Thanks again and wishing you continued success. Carol, I have always enjoyed working with you and hope to do so for a long time. Thank you for all of your help with everything and all the work you put into this. You’re amazing! Carol, You are very nice and pleasant to work with. Really appreciate your kindness. Thank you. I wanted to thank you once again for being so helpful in the process of buying our new house. You are just AWESOME!!! You made me believe in good people again. I also have been going to church again and praying for my family thanks to your wonderful example. I cannot thank you enough for everything. Thank you Carol for everything. You have been AMAZING to work with again!!! I’ve already given your name to a few more people that are thinking of buying in the near future, so you should be getting a few calls. You’re the BEST! Until next time! Thank you Carol! You’re the best to us!!! We are so glad we found you:-) We have learned a lot from you. Thanks Carol. You did a beautiful job and were on top of everything at all crazy times of the day!! Lol ! Your guidance and excitement through the sale of our first home was so appreciated. Our new home is coming along beautifully! It still feels like a dream! Sending a big thank you your way! I will definitely be sharing your name with others if ever the occasion arises. Thank you for everything you do. We feel so blessed to have a business partner like you. You are caring, loving, kind and amazing! You are also professional and well organized. You are one very special person! We truly appreciate you. May God bless you and your family and shower your family with his abundant graces. Carol, I just wanted to let you know that it was such a pleasure to hear from you tonight! You were such a blessing in our lives in more than one way as we went thru the selling of our home. In fact , God used you to get our house sold! There was and still is a special spiritual connection! You were lead by The Lord during that time! Thank you for that and for checking on us this evening! I look forward to seeing you again soon! We love our new home! I know you could hear the fear in my voice and emails as we searched Arlington for the right fit and kept coming up a day short on the perfect find! I had driven hundreds of miles searching and made so many calls to realtors and property managers; many said they’d call me back – most of them didn’t even return the call. Then came Carol!! and BOOM – Done! Fear gone, and calm and caring took over! It was like you were inside my head without even meeting me and you lead us to our perfect place. I told you we have a Great Dane, and you even remembered his request for a big back yard on our “Got to Have” list! But seriously Carol, the time you took; the late night emails assuring me you were in constant contact with the home owner and everything was going to be ok, will never be forgotten by John and me. We are so happy here and look forward to relaxing in our shaded backyard once I get all the boxes emptied! God Bless the Art Work of Carol. Her amazing illustration made it a fun and exciting pleasure to be a part of!. And special kudos for her picture perfect pass out souvenir that closed the deal! With multiple offers it sold Sunday for the full asking price about 25 hours after it hit the internet. The community comes to you for answers. We are so proud of your work and not surprising results. Forever grateful. I feel Carol Stoneham did an outstanding job representing me on my recent sale and purchase of a property in Preston Hollow. On the purchase, Carol kept on top of everything, protecting my interests and keeping the deal moving along smoothly. Carol was available any time I needed her. She did everything from staying on top of the lenders to make sure funding was on time to handling the inspection. She made it easy. On my listing, Carol really sold my home well. On the date of the listing, everything was already up and running on MLS – the tour, everything. The traffic on day one was amazing – we got 4 offers above listing price within 24 hours on a price that was above the recent comps. Carol made sure the traffic would be strong from the start by marketing it properly. I would recommend her to anyone. Thanks Carol. Carol is a very professional Lady, She is a REALTOR® not a real Estate agent, there is a difference, She goes that extra mile for her clients explaining the buying or selling process from start to finish, She plans her work and works her plan, That’s why she is successful in the Real Estate Business, I highly recommend her for the Buyer or Sellers Real Estate needs. Ms. Holloway-Stoneham was a complete professional, extremely knowledgeable, thorough and maintained a friendly, confidant and warm demeanor. She assisted me in preparing my previous home to sell and finding a buyer while at the same time assisting me with the purchase of a new home/new construction. She made me feel that I was not alone in this difficult time/process for me. She always kept me informed every step of the way. She gave effective recommendations. I was so impressed with Ms. Holloway-Stoneham that I referred by mother to her recently to assist my mother with the sale of her home! I have, also, recommended her to my sister. Ms. Holloway-Stoneham represents all that is excellence in her field. Carol was a pleasure to work with. Even though I was a first time buyer, she treated me like an existing client. Carol showed me several houses, accommodated my work schedule and was very knowledgeable about all the different areas that we visited. I have recommended Carol in the past and I will definitely do so again in the future. Very Kind and knowledgeable!!! She gave me great pointers on how to improve the value of my house and sold it for more than I hoped for. She held my hand thru till the closing. Could not have done it with out her. Carol Holloway-Stoneham was not only our realtor but our friend. The events leading up to our closing date were very stressful but Carol went to battle for us every day. She is incredibly reliable, persistent and a joy to be around. She is the kind of realtor you want during a stressful situation such as buying a house! 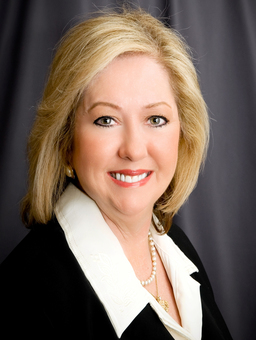 We want to let you know how outstanding Carol Holloway had performed helping us with our home purchase in Arlington. Even though Carol Holloway was just helping our agent temporarily, she went above and beyond in helping us dealing with the listing agent who kept refusing to submit our offer to the seller (Wells Fargo Bank). We appreciate how she handled the increasingly unpleasant dealings with the listing agent who grew more and more stressed. Ultimately, with her excellent people skills and being calm and cheerful, she convinced the listing agent’s team to work with us. While under the contract, we ran into many problems and Carol made us feel much better through her encouraging words. It meant a lot for us to know that we had full support from the team and that they would not give up on us. She worked very hard, promptly, and pro-actively to ensure that we would get the property, working with us and the general contractor (required by the loan) late at night and early in the morning until our agent returned. Due to her diligent efforts plus her “Can-Do” attitude, we are moving into our new home! We greatly appreciate the opportunity to work with both agents. You have a great team working for you and CENTURY 21 Mike Bowman, Inc.
You are so sweet and are such a blessing. I always walk away from our conversations with a brighter perspective on life. I hope I touch people’s lives the way you touch mine. We can’t thank you enough for helping us to sell our home in record time. The person who referred us to you sure knew what they were talking about when they gave us your name and said you were excellent. Getting an offer in less then 2 weeks was unbelievable! The custom marketing material you made for our Home was totally first class! We will definitely pass your name out to anyone wanting to sell or buy a home. When we are ready to buy another home, we will be giving you a shout for sure! Thanks again for everything. You did a fabulous job! Carol – You did a fantastic job on Marketing our Home and the Virtual Tour is beautiful!! I almost wanted to put an offer on my own home! Out standing job!!! In complete honesty, you are the best realtor that I have ever worked with. Please keep in touch and thank you so much for helping us. I promise that when we are in the market for another new home, I will call you. You’ve earned it! 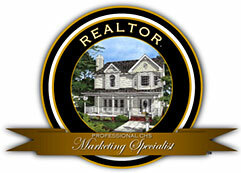 Carol, Thanks for the follow-ups, you are without a doubt a professional Realtor and a rarity in the profession. Of all the Realtors we’ve met in our home search you are the only one who has maintained contact with us, and it is greatly appreciated. Thanks. I know of a great realtor who can sell your home very quickly! You will have to drag me kicking and screaming from our new home! It’s amazing! You will have to stop by to see it. We will certainly pass on your name to anyone looking (we’ve told a few people already). When we have our big celebration you’ll have to stop by and meet some new people. You never know, you may go a way with a couple new clients! Thank you all so much for all you’ve done for us…you and Steve have been amazing! Carol, We greatly appreciate all of your wonderful help and suggestions to make our home more marketable. All of your hard work on the pictures, videos, flyers and web site were spectacular! More than that, you were able to help us understand the things that could be changed to update the house and make it more attractive to potential buyers. I am certain we would not have had such a quick sale in this tough economy without your help. Once we get in our new home, we do not plan on moving again for a very long time, but will gladly tell others about your great service. Thank you again so much for sharing your expertise with us! Carol, WOW! What a day! We were able to get our existing house sold plus close on the new house too. Thank you so much for all your help from day one through everything. There is not enough words to say thank you. My mom told me that you are our guardian Angel . She is so eager to meet you. You will definitely need to come to our new house for dinner. Carol, We would like to thank you for all your help, professionalism and work ethic in helping us find a home to lease. We struggled with getting anyone to show us a property! You were on top of everything from showing us the home and then following up every few days. We know we will be happy in the home and would love for you to stop by anytime. Carol, because of you, we are celebrating our 1st Christmas in our 1st Home! We will never forget everything that you did for us! Thanks a million! Thanks for all of your help in finding us our beautiful new house! You were so polite and generous on meeting all our needs. You hustled for my wife and I, meeting us to look at houses no matter what time of the day it was. You followed through on every question we had and got the answers quickly. Once again, thank you for all the hard work you did, it really meant a lot to us. Neal and I can not thank you enough for everything you did for us. You were excellent and we sincerely appreciate your experience. We could not have asked for a more experienced Realtor and have already referred you to several people. Thanks again. If you ever need a reference, please don’t hesitate to call. The flyer’s you made and the virtual tour are hits! The house was shown 5 times yesterday! We couldn’t believe it, every time my husband’s cell rang yesterday, it was another Realtor wanting to show the house! You are truly a magician in you’re field and we are totally blessed by it…. Carol, You did such a great job on the pictures, detailed tour & custom brochures of both of our homes! You are so good at what you do. I am so impressed! Thank you for all your hard work. It is such a pleasure to see a realtor give and pay so much attention to one of their buyers. You truly are one of a kind! Believe me, I have had many experiences with realtors and none, I mean none, can compare to you. That “little extra” that you do must bring you many referrals. I know I will be referring you out! Thank you so much. We really appreciate everything you did for us to help find our new home. My twin baby girls just love all the open space to run around and play in and my little boy keeps hiding in the closets. We just love it! I have already passed your name out to several other people, so they might be calling you to help find them a home too. Good luck and thanks again for all that you did. Words aren’t enough to tell you how much we appreciate everything you did in helping us to buy our first home. You made it all come together and gave us the faith and hope that we needed to keep going and never give up. When we pulled up to the house tonight, my husband got out and unhooked the gate and I could see him pointing at his chest and saying, “oh my gosh… it’s actually ours”, and I looked up at that house and still couldn’t believe it really was. We both know that the good Lord truly put you in our path so that this would all work in such a miraculous way, and it truly has! Thank you for going far above the call of duty to make it happen as quickly and smoothly as possible. We both are extremely grateful! You’re the best! Thank you for helping us get our home sold so quickly. You did a wonderful job promoting it and I really loved your work on our Virtual Tour! It was terrific! I LOVE the virtual tour! It’s the best that I’ve seen. You did a great job! It looks so nice, maybe we’ll have to stay here. Just Kidding. Thank you Carol! We think the flyer and online tour look great! Cliff and I are so thankful to have you as our agent. You have taken the time to do things so well when others would have just done it half way. Thank you for all of your hard work on the Web Postings, Flyer & excellent Virtual Tour. They are the best we have ever seen! We had an accepted offer 7 days after you put it up for sale. Wow! You sure work fast and truly know how to Market homes to sell! Carol, I just wanted to take a minute and say thank you. You seem to always have a kind word and NEVER fail to say thank you. You are a joy and delight. May you be blessed in all that you do. The house is awesome!!! I cant tell you enough. We LOVE It! Matt and I had so much fun buying the house once we started working with you. You truly, turned our experience upside down and made it so much more enjoyable. We were about to give up! Nothing could really say thank you enough. Thank you so much for the excellent job you did in helping me to sell my house. After having my house listed for over 8 months with Keller Williams I had gave up & thought it would never sell. You came over and gave me your honest professional help and advice. I listened carefully, did what you suggested and then put the house back up for sale with Century 21 Mike Bowman, Inc. only to be totally shocked as I had an offer the first day and closed in less then 3 weeks. I would highly recommend you to anyone. Thank you ever so much for all your help. Carol was absolutely on top of every aspect of selling our house from day one. From the quick Web access, excellent Virtual Tour, nice flyer, constant communication, etc. It all captured so much of the detail of our home both inside and out which was very important to us. We were amazed to have it sold so quickly. Wow! You sure work fast! Our thanks again. Carol is a jewel. She has such a beautiful personality, and she is very skilled at her job. I believe her pictures is what made the house sell so quickly. My husband and I are very grateful to both of you. Thanks! Jess and I want to thank Carol for all of your hard work in selling our home. We were very pleased with how quickly it sold. You did a great job of marketing our home and constantly keeping us up dated on everything. Thanks! I want to thank Carol for doing such an excellent job marketing the house! Although the offers were a little low and not enough to pay off my mortgage, I have had quite a few offers since I put the house on the market. Some time ago, I listed my house with two other agents and your office produced more showings and offers than BOTH of the other agents combined. You did a great job. Carol, Staci & I would like to say thank you for helping us sell our home in Texas. We knew it would happen, but just not sure when. I would highly recommend your company and personal services to anyone I know that might be selling a home your area. Thanks again.